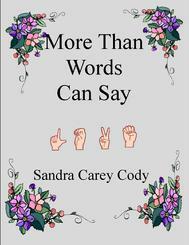 As much as I love writing mysteries (and I do plan more books about Peace Morrow and am currently working on another mystery featuring Jennie Connors), occasionally it's fun to dabble in something a little different. When I need a change, I write short stories. These aren't mysteries ... unless you consider (and I do) the day-to-day bump and jostle of family life a mysterious thing. Lynn Donovan is a nice girl, open-hearted, too impulsive for her own good - and completely captivated by a married man. The mere thought of him sets her senses aflame and her daydreams spinning. Is this love? Or is love something different? Something you see every day and slip into like your favorite tee shirt? Sometimes you don't value what you have until you're about to lose it. These three short stories ask the question: What happens after 'I do'? Does 'happily ever after' mean 'every minute of every day ... forever'? 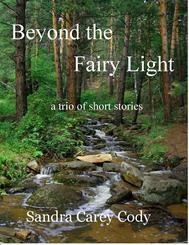 In Beyond the Fairy Light, a child looks to magic to heal her troubled family. In All is Calm, a young woman longs for a harmonious celebration in a family made up of proud Irish rebels and Jews savvy enough to get out of Babi Yar before the arrival of the infamous killing squads. Best Laid Plans starts out simple, but is anything simple in human relationships? Does familial love bind us or set us free? Or both? This trio of short stories explores those questions. In A Perfect Wedding, a mother longs to pass on the traditions that have made her happy to a daughter who is determined to forge her own traditions. 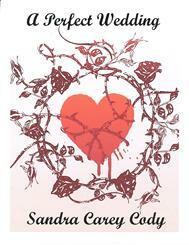 In Generation Unto Generation, a young woman comes to terms with the loss of a beloved family member. In Next Time - The First Time, a free spirit finds himself in a trap from which there is no escape.